Three kittens, three cats, two dogs, three mice, 10 puppies. This was the number of the sickest rescue animals who inhabited Jamie Vaughn's bedroom at The Barnyard Bhutan Animal Rescue and Sanctuary. 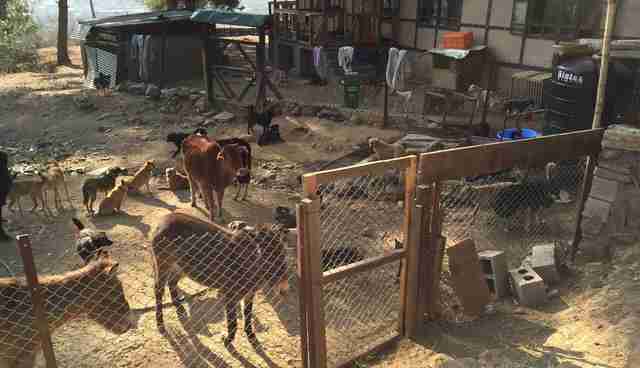 The grounds of The Barnyard, an animal sanctuary set on two-plus acres on the other side of the world in Paro, Bhutan, at the foot of the Himalayas are currently home for over 200 dogs, mules, goats, pigs and other rescue animals. These animals have different injuries and needs that require the entire gamut of therapies; immediate triage of the wounded, amputations, infections, spaying and everything else. All this is handled by Jamie, a young, passionate American woman from Virginia Beach who created one of the wildest, most improvised yet most loving animal sanctuaries I have ever seen. Jamie Vaughn, who walks around with mismatched socks, untamed hair and work clothes covered in dirt is constantly giving personal care to her wounded patients. Her work continues with little respite night and day. She creates prosthetics and slings for them from car parts and duct tape; she talks and sings to them, laughs with them, lets them jump all over her. 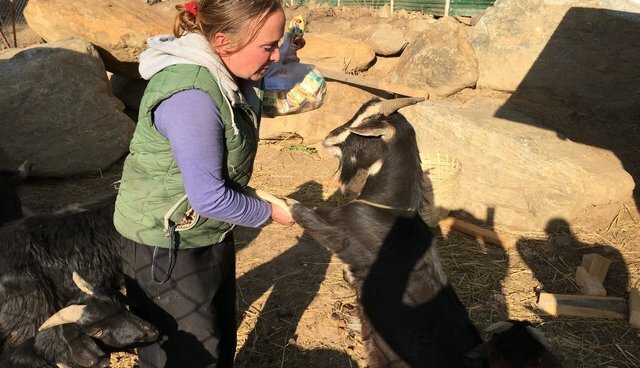 She drives around Bhutan in her old beat up car and picks up wounded animals, large and small, who have fallen off bridges, who were run over by cars, who were beaten or starved; she brings them to her sanctuary on a regular basis and cares for them like a mother and a doctor combined would. At The Barnyard, where buildings and holding areas housing the various animals seem to be make shift made with love, the animals reside in their respective sections, yet they often also roam around freely, interacting with each other and with Jamie whose love for them seems to have no end. For Jamie, it all started in 2008 before the coronation of Bhutan's fifth king. At that time the government officials embarked on a campaign to get rid of all the stray dogs in the country (and there are many of them). Jamie's heart went out to the animals and she had to get involved. Even though her efforts started small, the persistent massive unanswered need cried out to this one special, ball of energy woman for whom "no" is not a part of her vocabulary. One wonders if and how she ever sleeps as her door is always open and indeed, wounded animals arrive freely, day and night. Jamie dreams of getting an x-ray machine so she can diagnose the animals and treat them properly. Any and all veterinary equipment can be put to immediate good use. To date all this has been self funded. The Maya Foundation is set up to receive donations so she may continue this work. There are very few animal sanctuaries in Bhutan and The Barnyard is definitely one with a special heart. 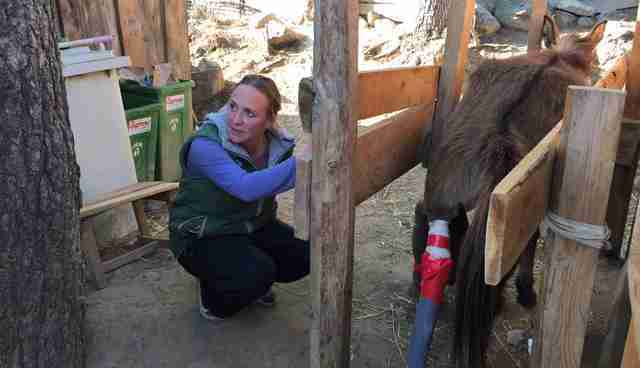 Many Bhutanese have told me that if they were to chose between a veterinarian and Jamie, they would chose the latter as Jamie would give them more care and attention than they would get anywhere else. Jamie is a rare breed. She is a warm, loving altruist and a one woman tornado when it comes to rescue animals. It was a special treat to visit her at her sanctuary and I hope she will get the support she much needs in order to care for the animals in the best possible way. Here is to you, Jamie Vaughn. A true unsung hero of Bhutan.